I extend the trunk shape up. As before, it’s thicker towards the bottom, and comes to a point on top. When drawing the smaller branches, don’t try too hard. Just let your hand take the lead and they will turn out to be more bent and crooked. Everyone has their own view and ideas, so every tree will look different. 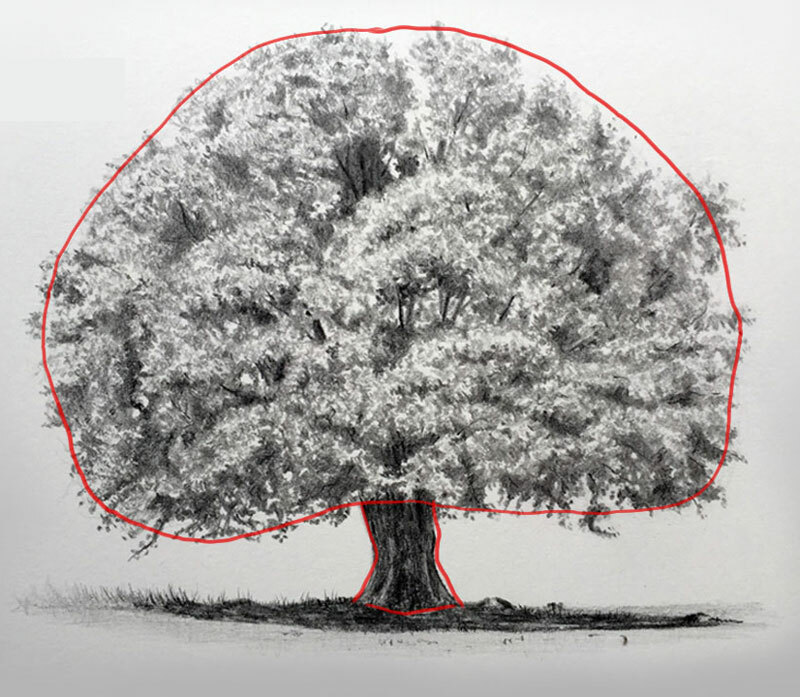 If you want to paint the tree you might want to add more space between the branches than if you were to just draw and color the tree. 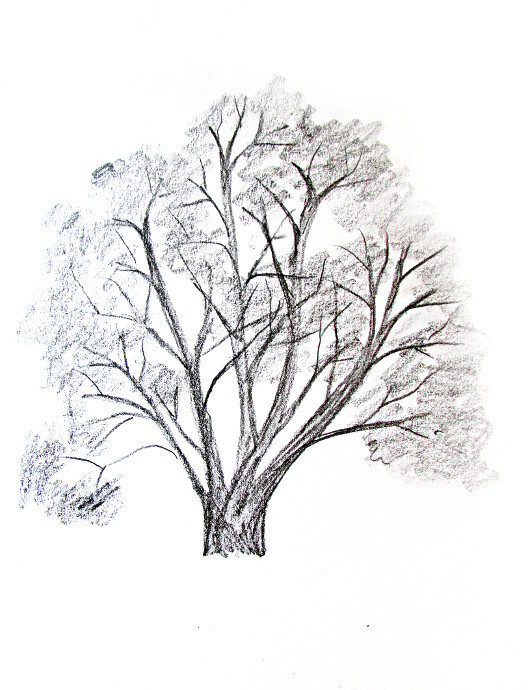 Draw the tree slowly. Shade the leaves and sections of the tree. A good thing to try for leaves is to dip a piece of sponge into some undiluted paint and just dab it gently onto your tree. Try to be focused and have patience. Using a 0.5 mm pen helps when drawing branches and leaves. Free hand the leaves then go back and add detail. Use a pencil in case you make mistakes. 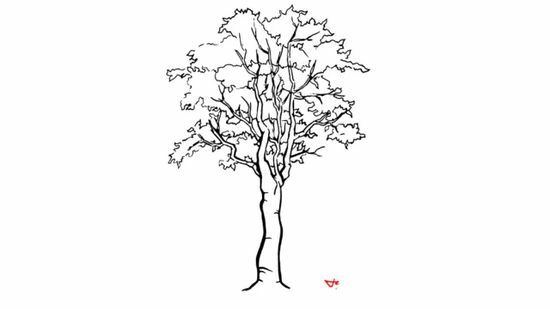 Picture the finished product in your mind as you draw the tree. Don’t use any sort of pen because if you mess up then you will have to start over, as you can’t erase pen. 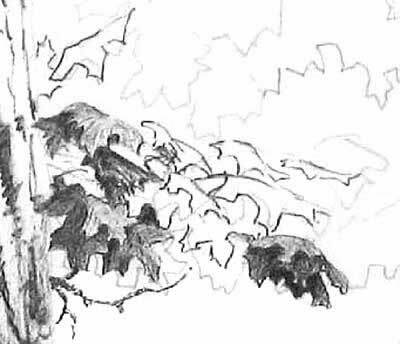 Add to some rough lines to the trunk and branches to show texture. On your first sketch, don’t use pen, or anything that cannot be erased. 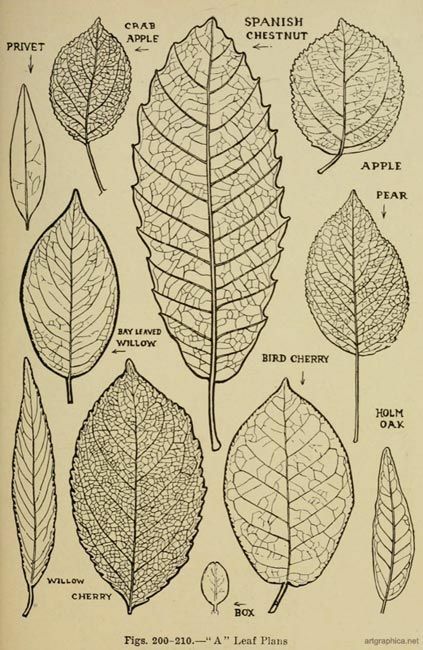 Draw the leaves with patience. See that leaves don’t overlap each other. Shade the trunk a bit, and then start shading the leaves that are towards the back. Keep adding the branches with needles to about half way, and then sketch a few empty branches. Thicken the trunk. Add a shadow to the tree. Even more smaller branches splitting off from the bigger ones. I also pick an spot where the sunshine is coming from. I also shade the trunk a bit, using long straight lines. Define the leaf areas in the foreground, and add some branches coming up behind them, also a few roots. 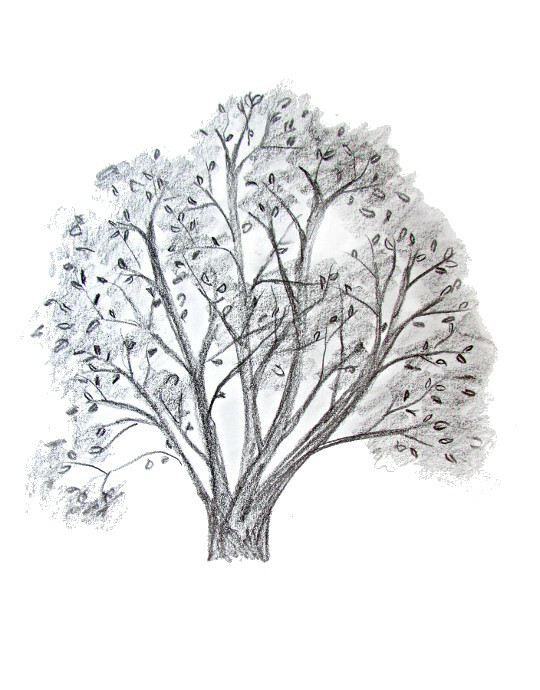 For me drawing trees is all about branches and the crown, and fining a balance that you are happy with. 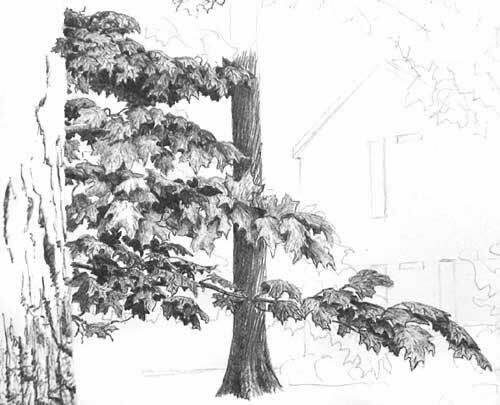 There are many amazing artists, books and tutorials out there all about drawing trees. For example, THIS BOOK is very good, and my kids and I enjoyed it in the past. I add a small triangular shape on top with straight lines all moving to the top. Now each one of the main branches gets a few branches of their own, but smaller and added a squiggle on the bottom to indicate a bit of grass. Alright, now leaves are squiggly lines drawn with the side of my pencil. Some of them are flying off, so more small squiggles. I also add a horizon line: where the water meets the sky and some grass on the hill. Thanks to all authors for creating a page that has been read 820,721 times. I start with a line and the general shape that I would like the crown to be. 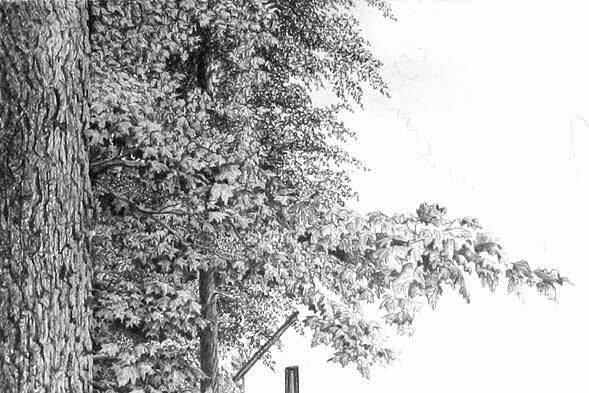 With the side of my pencil I added some shadow to where the leaves are going to be. Whichever you prefer! 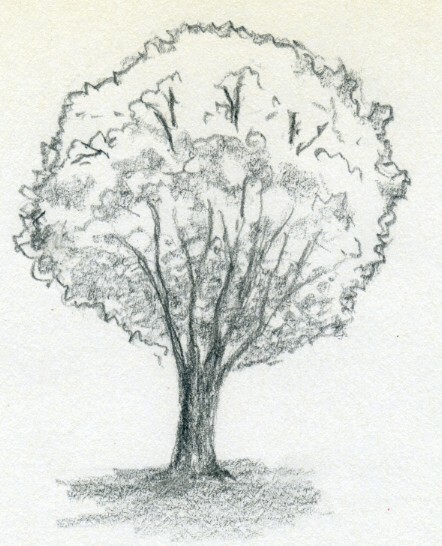 If you’d like your tree to look shaded in certain spots, I would use colored pencils. 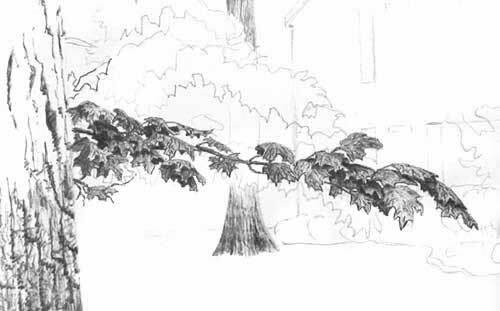 ‘How to draw a tree?’ is a question that I get asked often, online an offline, so I decided to make this tutorial here. 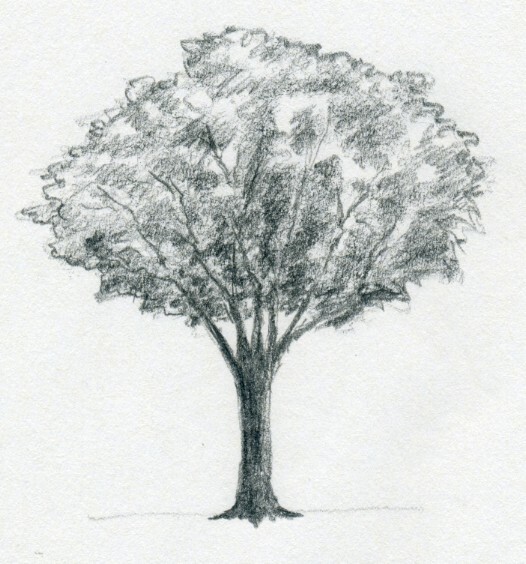 I made 7 drawings of various trees with step by step instructions. 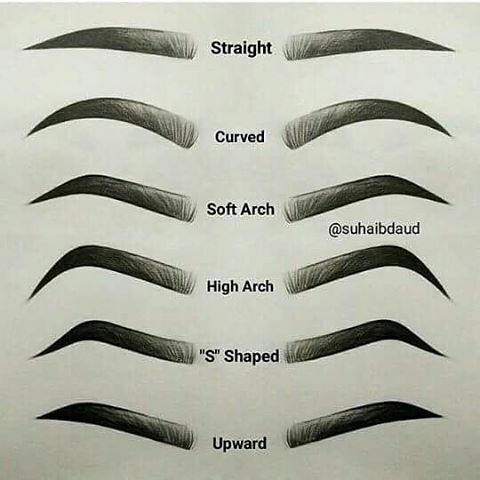 I hope you all find it helpful! 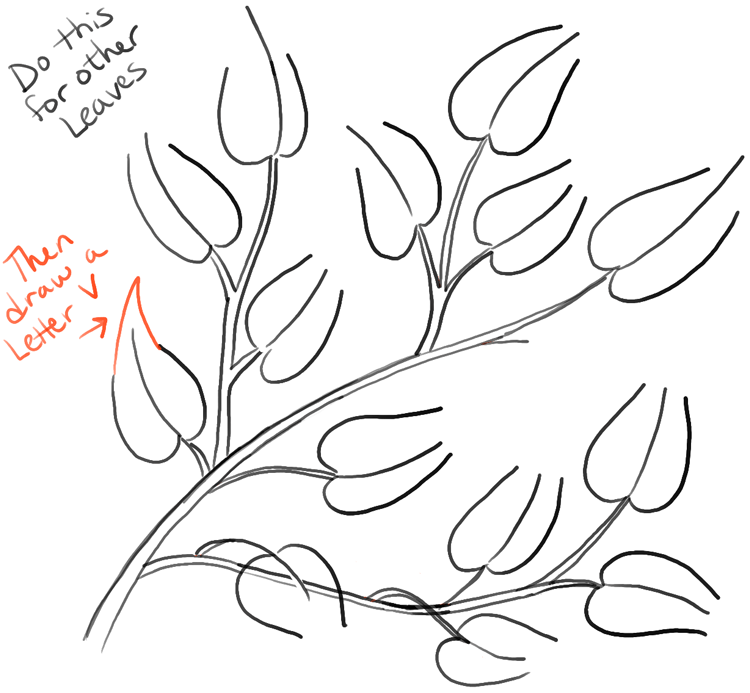 …but no, I had to go and add squiggly lines to indicate leaves. Too often kids (and adults) draw trees which ends in a stump, and has a semi round crown on top of it. Here I start by doing that, and then work on it some more. Shade the trunk with straight lines. Decide on where the sun will be and add shadows to the areas facing away from the sun. I added some clouds, shaded the water, drew a sand line, and some tall grass on the hill. The tall grass is also leaning in the winds direction. I also darkened some of the leaves a bit. Putting my pencil sideways, I shade in the area in the crown where the leaves are. I am going in a sort of irregular pattern of peaks and troughs. What happens when it doesn’t look like the one that was drawn here? This tree is more of a bush. All the branches are coming out from the bottom, and growing to about the same size. I start with five main branches. I keep working on the crown, now by adding some layers, and outlines. I also erased the line that was giving me the initial crown shape idea. When shading, keep in mind where the sun is coming from: areas facing the sun should be lighter then the areas facing away from it. Make the trunk thicker. It is thick towards the bottom and the roots, and narrows closer to a point toward the top. Have some of them be different shades of the green or brown or whatever color you’ve chosen, and make them not all the same shape. You could also add some falling leaves, if the season is right. The same thing with the branches. They are thicker toward the base and narrower towards the tip. Easy-peasy. Add some main branches. Because the wind is blowing, many of the branches are leaning to the right. 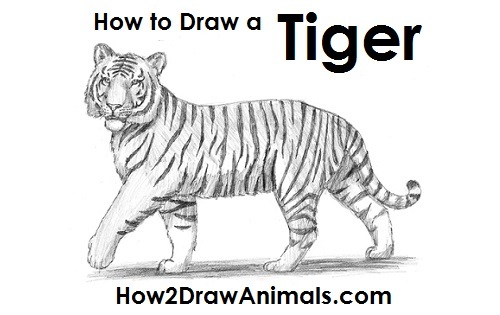 Drawing well takes practice and keen observational skills. Don’t get discouraged, just keep working on it. And keep working on the crown. Just doodling away until you feel your tree crown is complete. I added more lines to create thicker trunk branches, added more branches going out to the ‘umbrellas’ and added a few empty branches as well. Well, that depends on the look you prefer the tree to have. If you want the tree to look young, try to give the trunk a light brown; for an older tree, color it deep brown. For the leaves, if it is in spring, a light green; in summer, dark green, in autumn, give it a golden yellow or light orange. Also take note of the shade. There you go! My trees are all done. Now go and practice some trees of your own! 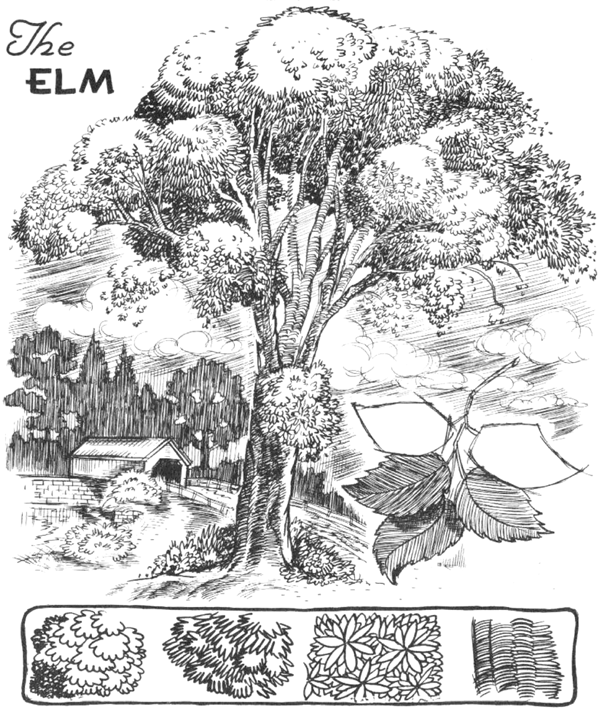 Play around, and draw some amazing trees! I kept working on the leaves, occasionally using my eraser to add highlights, until I was somewhat happy with it. I decided that the tree shouldn’t just hang in the air, so I gave it more grass, and shaded in the background. I added some more detailed leaves, but they could also be berries, or flowers, or what ever else you would like. I erased the stump line and gave the tree a few branches, but instead of doing the way I did the above trees, I ended them half way and will cover them up with leaves. Draw light when first starting.Then outline the drawing darker. Do not draw the foliage until the very end. Draw the trunk of the tree and draw your way up. 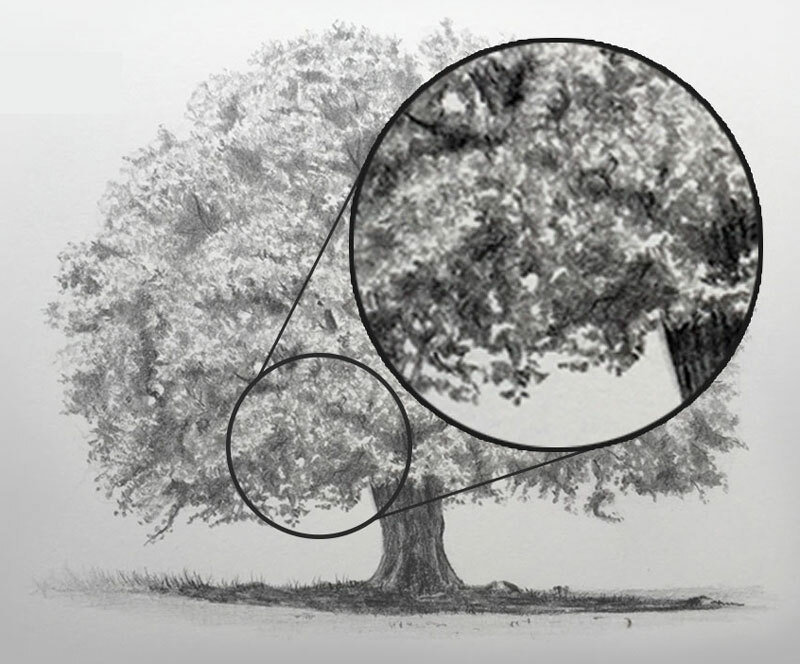 Details don’t matter for now, just draw the general shape of the tree. Here is more branches. Here is the thing about the branches. 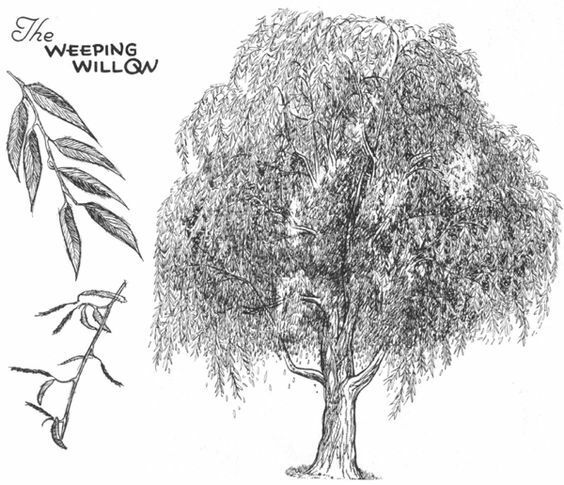 The thick, main branches are stronger, so they will not be as affected by the wind, but the smaller branches will all point in the direction of the wind. Then I went all out and decided I am going to use my eraser and add some sun rays coming out of the corner. 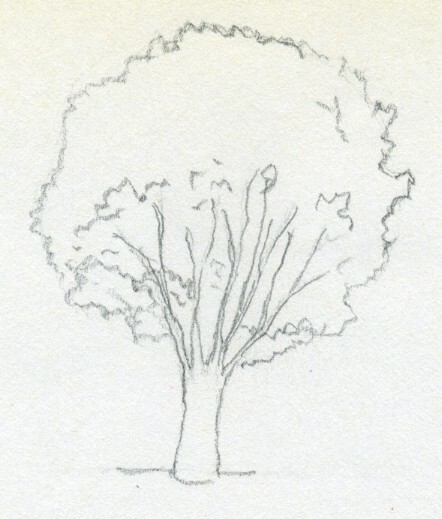 This tutorial is my take on drawing trees. 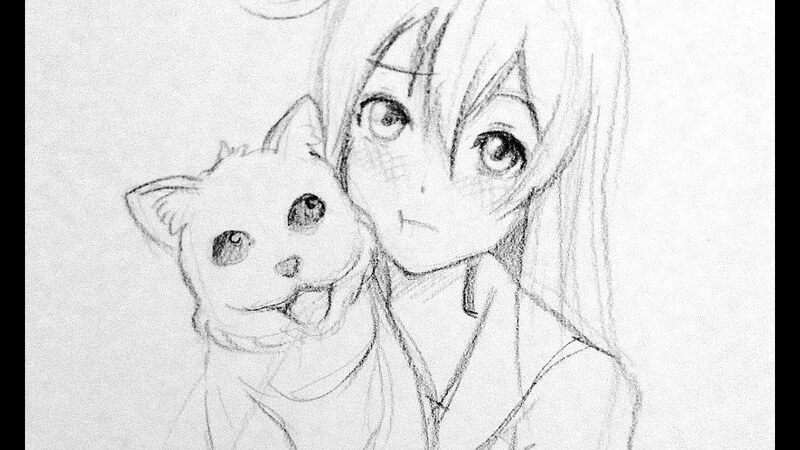 For these drawings I used a regular sketching pencil, though the same principal applies to other mediums as well. I also adjusted all the sketches in Gimp 2 so that they are more visible, so there will be a slight variation between the photos. A bit of grass, and some textures on the ‘umbrellas’, also make the ‘umbrella’ textures thicker on the bottom and thinner on top. I added more details to the trunk, made more squiggly branches, and added some shading to the ‘umbrella’ portions. This tree was especially fun to draw. 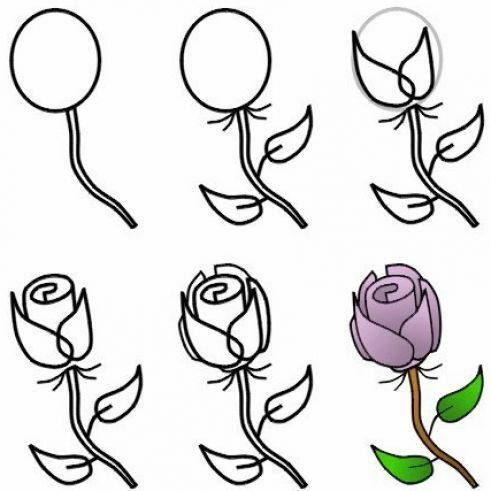 I started to draw it by drawing the ovals for the leaf parts. I decided on four, but if you want more, that would be quite awesome too! Then I added some squiggly lines coming down to the same area for the tree trunk. 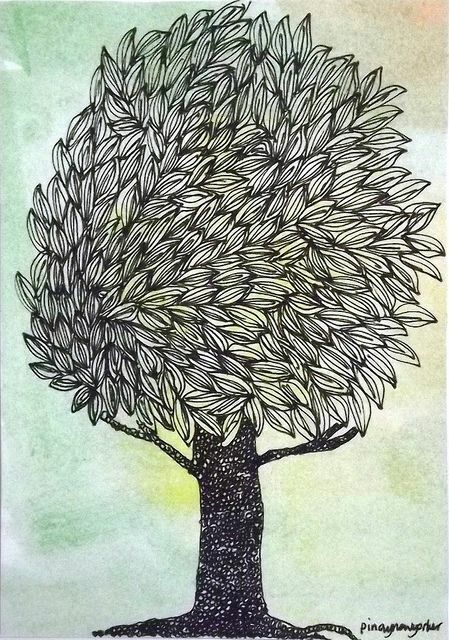 This was the first tree I actually drew, and I wasn’t too thrilled about it, but here it is anyway. I start as before, a line for the trunk, and a circular shape for the crown. Even further, I got eraser happy and made more rays coming out through the tree and on the ground below it. Tree # 1 is all done!!! As before, I drew the line and the crown, but this tree is being bent by the wind, so the tree will be bending down a bit. One more little thing I noticed is that I needed to give myself extra space. I would usually run out of space for the tree much quicker then I thought I would. Make the branches thicker, and add some more small branches. Even more small branches, making the bush thicker and thicker.